HONG KONG, April 20, 2015 - Actress and singer Charlene Choi poses at the 34th Hong Kong Film Awards in Hong Kong, south China, April 19, 2015. 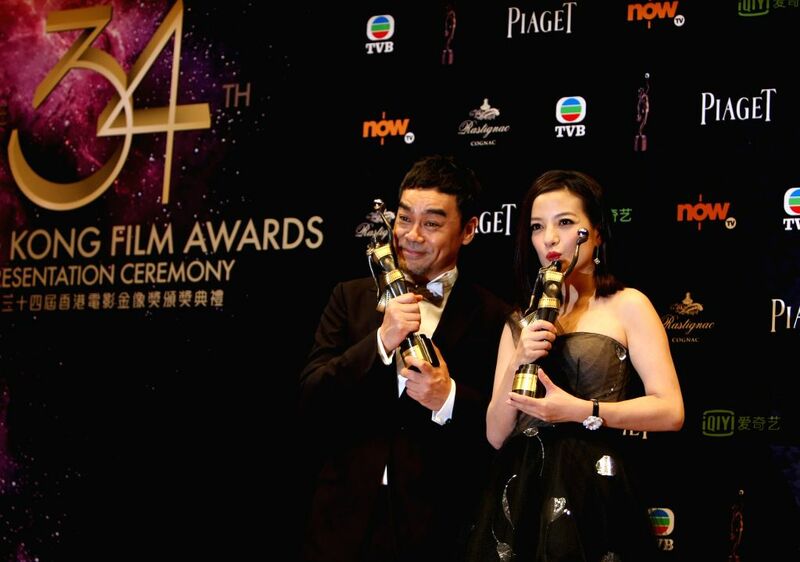 Actor Lau Ching Wan (L) holds the best actor award and actress Zhao Wei holds the best actress award as they pose at the 34th Hong Kong Film Awards in Hong Kong, south China, April 19, 2015. 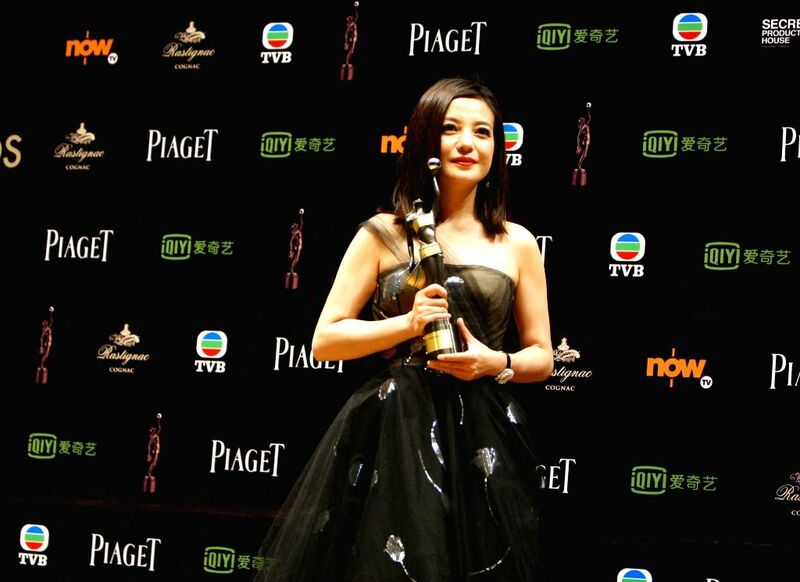 Actress Zhao Wei holds the best actress award for her role in the movie 'Dearest' at the 34th Hong Kong Film Awards in Hong Kong, south China, April 19, 2015.